L&S is a technical and creative full-service provider for the areas of corporate events, trade fair and stage construction. We have successfully managed event and exhibition projects for 25 years. There are customers who have been loyal to us since the founding year. This success is essentially based on a motivated and first-class team of technicians, traders and creative people. Customer satisfaction is our number one priority. L&S is consistently customer and solution-oriented, ensures adherence to schedules and budget with first-class quality and ensures absolute planning and implementation security in all project phases. We offer professional support, creative impulses and targeted solutions and we do it right from the start, meaning from the first contact meeting, up to the project completion. The necessary skills are given to our employees by professional and high-quality training. Your event is our challenge. With passion, energy and diligence, we give your stand or your event a distinctive face. We coordinate interfaces and maintain an overview – so you can concentrate entirely on your tasks. We understand what you want and know how important every single event is for you. Your personal contact person from our company accompanies you from the first contact meeting to the feedback meeting. He also supports you in the coordination with all other companies and artists involved in your event. Be yourself a catered guest and focus only on your guests and good conversations. We care for everything else. 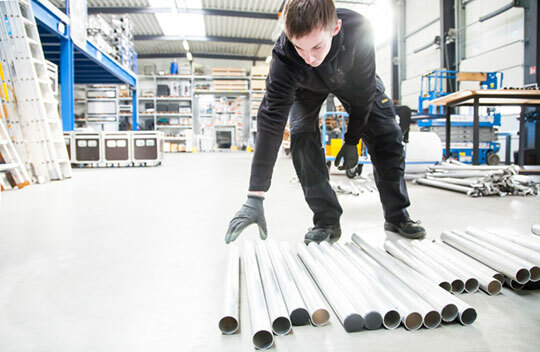 L&S GmbH & Co. KG, based in Hörstel, Münsterland, Germany, developed from a small business over a period of more than 25 years. We started in September 1991 with an idea that occurred from our hobby within several months. Only slowly but from 2007 ever faster. 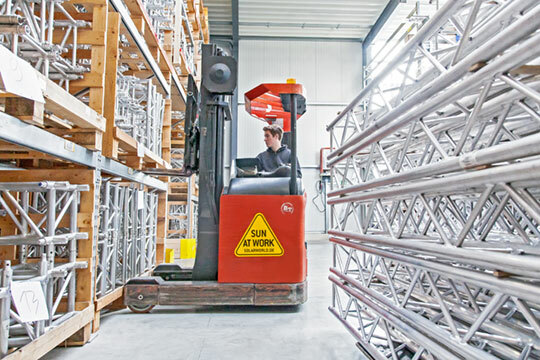 In 2011, we moved to our current headquarters with a modern office building, various workshops, a warehouse and logistics hall, we own a total area of 2,700 m² as well as our own fleet of vehicles. The basic idea for L&S was to create events with technology and creativity and lead to success with enthusiasm and absolute reliability. This is still the case. In the 25th anniversary year, 25 full-time employees and numerous freelancers are working on exactly this first idea at your events and trade fairs. And that should not and is not going to change in the future. We are a company certified by the German chamber for our trade and since 2005 we have been training specialists for event technology. Many of our first customers are still our customers and we are proud of this fact. L&S has always used a fair and honest way of dealing with each other and the long-term thinking has also been a key factor since the first day. We look forward to the coming years, have many exciting ideas with which we want to develop our company and look forward to your projects, which we are allowed to work with – the basic idea of L&S is always there!